Just over the Illinois border along the southern tip of Lake Michigan lie the Indiana Dunes. 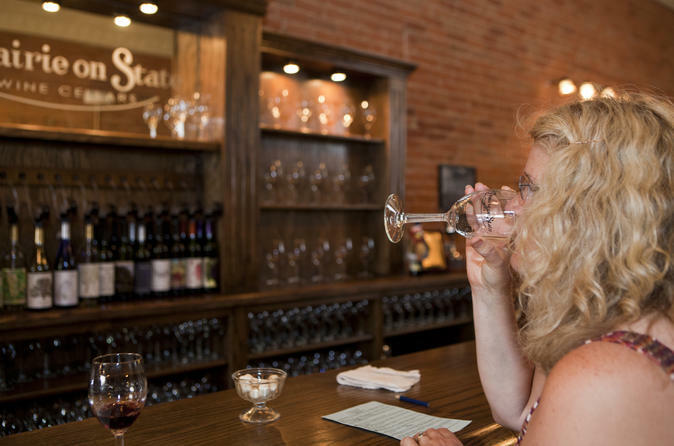 In the charming villages that dot the area known as Duneland, you’ll find artisan wineries featuring wines made from grapes grown in Indiana and other Midwest states. Let an experienced winemaker accompany you from downtown Chicago to three tasting rooms and provide insight about this unique terroir. Your full-day itinerary includes a luxurious lunch of contemporary, farm-fresh fare in Chesterton. Meet at the InterContinental Chicago Magnificent Mile or receive pickup from your accommodation in the Chicago Loop. You’ll depart for Duneland wine country towns located around the Indiana Dunes, just a stone's throw from downtown Chicago and roughly one hour from the Loop. This full-day of wine tasting includes stops at three wineries where you’ll learn from local winemakers about the hybrid grapes grown in the Midwest (tasting fees included). These wines have different aromas and flavor profiles from wines made in Europe and California, so both novices and aficionados will increase their knowledge of all things wine. Your guide is a licensed wine distributor who shares intimate knowledge of the area’s wine industry. A leisurely gourmet lunch with local farm ingredients is served in Chesterton, located in the heart of the Indiana Dunes National Lakeshore, before hotel drop-off in the late afternoon.